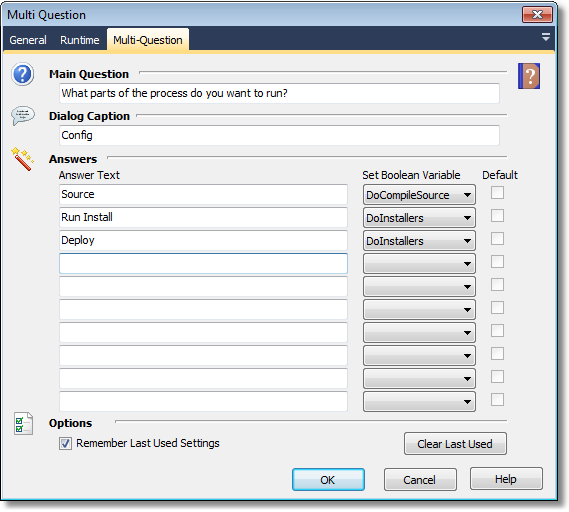 The MultiQuestion action enables you to interact with the user during the execution of your project. Each answer can be either set to True or False which is then saved in FinalBuilder variables which can then control the flow of your project. 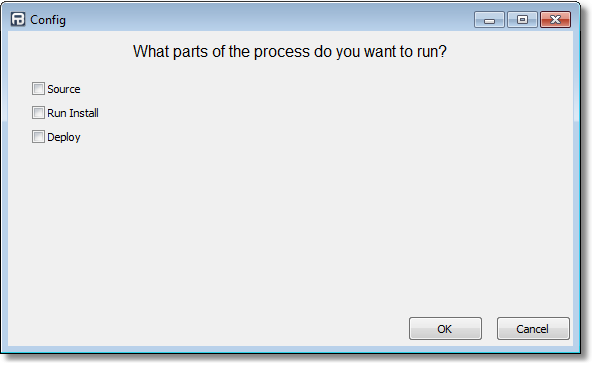 For Example, the main question could be "What parts of the build do you want to run today". Answer 1: "Source", Answer 2: "Run Install", Answer 3: "Deploy". The boolean answers can then be used in the Condition property of other actions to control whether they are executed or not. If you specify Remember Last Used Settings then the default value when the action runs will be set to the previously selected values when the action was last run.